The announced strike in South Africa’s gold sector, called by the Association of Mineworkers and Construction Union (AMCU), has been temporarily postponed until Jan. 30, as the court in charge of determining whether the labour action is or not legal has said it needs time to consider the arguments by both parties. AMCU intended to strike in the gold sector today, after issuing employers with walkout notices last week. But gold producers, represented by the Chamber of Mines, resolved to challenge the move in court and it is now seeking damages from the union, said Harmony Gold (NYSE:HMY) in a statement. 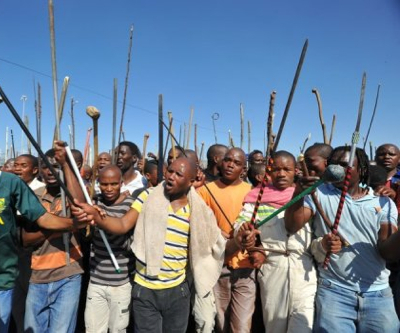 Top three companies Anglo-American Platinum (LON:AAL), also known as Amplats, Impala Platinum (Implats) and Lonmin (LON:LMI)confirmed that the strike had begun at their operations in the platinum belt, northwest of Johannesburg. Afraid of possible violence in a region where over 40 people were killed in 2012, mine owners began shuttering operations on Wednesday night.